Daniel Abraham. Dagger and the Coin series. Marcus’ hero days are behind him. He knows too well that even the smallest war still means somebody’s death. When his men are impressed into a doomed army, staying out of a battle he wants no part of requires some unorthodox steps. Cithrin is an orphan, ward of a banking house. Her job is to smuggle a nation’s wealth across a war zone, hiding the gold from both sides. She knows the secret life of commerce like a second language, but the strategies of trade will not defend her from swords. Geder, sole scion of a noble house, has more interest in philosophy than in swordplay. A poor excuse for a soldier, he is a pawn in these games. No one can predict what he will become. Falling pebbles can start a landslide. A spat between the Free Cities and the Severed Throne is spiraling out of control. A new player rises from the depths of history, fanning the flames that will sweep the entire region onto The Dragon’s Path-the path to war. Sarah Ash. Alchymist’s Legacy series. The kingdom of Francia has purged its magi. But when a young Guerrier rescues an orphaned street waif, little does he know that she is the daughter of a magus who met his end on their pyres–or that she is guarded by an aethyric spirit and driven by the name of the traitor who condemned her father to flames. With the gift of song infused within her, the child’s voice will bring her before the most powerful heads of state. And she will craft herself into a weapon…aimed at the heart of the man she despises. R. Scott Bakker. Prince of Nothing series. In a world scarred by an apocalyptic past, four people are swept up in the launch of an imminent crusade, during which they are ensnared by mysterious traveler Anasûrimbor Kellhus, whose magical, philosophical, and military talents have origins in a distant time. Marion Zimmer Bradley. Darkover & Clingfire series. Darkover is an extensive (40+ books) series with a fluid internal chronology about an accidental colony founded after a spaceship crash-lands on an inhospitable alien planet. The survivors and their descendants develop paranormal abilities and a unique culture that spans millennia. The author describes the novels not as a series but as a collection of related stand-alone novels that can be read in any order; however she recommends reading them in publication order if a set reading order is preferred, but many readers prefer to read them in order of story chronology. Living in peaceful Shady Vale, Shea Ohmsford knew little of the troubles that plagued the rest of the world. Then the giant, forbidding Allanon revaled that the supposedly dead Warlock Lord was plotting to destory the world. The sole weapon against this Power of Darkness was the Sword of Shannara, which could only be used by a true heir of Shannara–Shea being the last of the bloodline, upon whom all hope rested. Soon a Skull Bearer, dread minion of Evil, flew into the Vale, seeking to destroy Shea. To save the Vale, Shea fled, drawing the Skull Bearer after him…. Stephen Donaldson. Chronicles of Thomas Covenant & Mordant’s Need series. Thomas Covenant has been diagnosed with leprosy and made to feel an outcast by his wife and neighbors. A car accident throws into another world called the Land where he is thought to be a champion to help defeat the evil Lord Foul who is intent on destroying the Land. David Eddings. Belgariad & Malloreon series. It all begins with the theft of the Orb that for so long protected the West from an evil god. As long as the Orb was at Riva, the prophecy went, its people would be safe from this corrupting power. Garion, a simple farm boy, is familiar with the legend of the Orb, but skeptical in matters of magic. Until, through a twist of fate, he learns not only that the story of the Orb is true, but that he must set out on a quest of unparalleled magic and danger to help recover it. For Garion is a child of destiny, and fate itself is leading him far from his home, sweeping him irrevocably toward a distant tower—and a cataclysmic confrontation with a master of the darkest magic. The Malloreon series is the sequel to the Belgariad. When Mai is approached by Captain Anji at her family’s fruit stand in her village marketplace, she feels fear, for he is one of the invaders, and she knows that if he wanted, he could take her from her family, never to be heard from again. What she can’t possibly know is that she is about to take the first step into a life beyond her wildest imagination, on a journey through lands terrible and fierce, with people strange and wonderful, to a land rumored to harbor unspeakable violence and cruelty. One of her uncles had left their town and never returned. Now, as she sets off with Anji and his soldiers, her uncle Shai journeys with them to discover their lost kinsman’s fate. But the world has turned upside down: The immortal Guardians have abandoned the world; their mortal agents of justice, Eagle Reeves, seem no longer to hold the respect of people throughout the lands of the North; and the villages and towns of the Hundred are in peril of civil war. Captain Anji and his disciplined troops ride a trade route east to discover what fearsome shadow has seized the land and so terrified its people. Their fates are entwined with those of a reeve who has already tasted the bitterness of loss and with merchants and slaves both sacred and profane, who must transcend the paths they thought to tread if they are to see the light beyond the shadow that blights the land. Terry Goodkind. Sword of Truth series. In the aftermath of the brutal murder of his father, a mysterious woman, Kahlan Amnell, appears in Richard Cypher’s forest sanctuary seeking help … and more. His world, his very beliefs, are shattered when ancient debts come due with thundering violence. In their darkest hour, hunted relentlessly, tormented by treachery and loss, Kahlan calls upon Richard to reach beyond his sword– to invoke within himself something more noble. Neither knows that the rules of battle have just changed … or that their time has run out. Robin Hobb. Farseer & Tawny Man series. Robert Jordan. Wheel of Time series. Robert Redick. Chathrand Voyage series. The Imperial Merchant Ship Chathrand is the last of her kind. Six hundred years old, the secrets of her construction long forgotten, the massive vessel dwarfs every other sailing craft in the world. It is a palace with sails, a floating outpost of the Empire of Arqual, And it is on its most vital mission yet: to deliver a young woman whose marriage will seal the peace between Arqual and its mortal enemy, the secretive Mzithrin Empire. But the young woman in question – Thasha, the daughter of the Arquali ambassador – has no intention of going meekly to the altar. For the ship’s true mission is not peace but war – a war that threatens to unleash an ancient, all-consuming evil. As the dark conspiracy at the heart of the voyage unfurls, Pazel Pathkendle, a lowly tarboy with an uncanny gift, will find himself in an unlikely alliance with Thasha and her protectors: Hercol, a valet who is more than he appears; Dri, the queen of a race of tiny stowaways who have their own plans for the great ship; and Ramachni, a powerful sorcerer from another world. Arrayed against them are the Chathrand’s brutal captain, Nilus Rose; the Emperor’s spymaster and chief assassin, Sandor Ott; and the enigmatic Dr. Chadfallow, a longtime friend to Pazel’s family whose kind words may hide a vicious betrayal. As the Chathrand navigates treacherous waters to complete its mission, Pazel, Thasha, and their allies – including a singularly heroic rat – must also navigate a treacherous web of intrigue to uncover the secret of the legendary Red Wolf. Harry Turtledove turns his hand to a story of epic dimensions: the story of a World War in a world where magic works. When the Duke of Bari suddenly dies, the neighboring nation of Algarve, long seething over its defeat a generation ago in the Six Years’ War, sees its chance to bring his small country back, as they see it, into the Algarvian fold … an action which the other countries surrounding Algarve cannot, by treaty, tolerate. As nation after nation declares war, a chain of treaties are invoked, ultimately bringing almost all the Powers into a war of unprecedented destructiveness. For modern magic is deadlier than in eras past. Trained flocks of dragons rain explosive fire down on defenseless cities. Massed infantry race from place to place along a sophisticated network of ley-lines. Rival powers harness sea leviathans to help sabotage one another’s ships. The lights are going out all across Derlavai, and will not come back on in this lifetime. Against this tapestry Harry Turtledove tells the story of an enormous cast of characters: soldiers and generals, washerwomen and scholars, peasants and diplomats. For all the world, highborn and low, is being plunged by world war … into the darkness. Tad Williams. Memory, Sorrow and Thorn & Shadowmarch series. About Memory, Sorrow & Thorn: A war fueled by the dark powers of sorcery is about to engulf the peaceful land of Osten Ard–for Prester John, the High King, slayer of the dread dragon Shurakai, lies dying. And with his death, an ancient evil will at last be unleashed, as the Storm King, undead ruler of the elvishlike Siti, seeks to regain his lost realm through a pact with one of human royal blood. Then, driven by spell-inspired jealousy and hate, prince will fight prince, while around them the very land begins to die. Only a small scattered group, the League of the Scroll, recognizes the true danger awaiting Osten Ard. And to Simon–a castle scullion unknowingly apprenticed to a member of this League–will go the task of spearheading the quest for the solution to a riddle of long-lost swords of power…and a quest that will see him fleeing and facing enemies straight out of a legend-maker’s worst nighmares! About Shadowmarch: With the fate of humanity hanging in the balance, twins Barrick and Briony must save Southmarch Castle and the surrounding lands from their inhuman enemies, the ageless Qar, while another threat arises, leading to a brutal murder that destroys trust and shrouds their kingdom in darkness. Dorothy Dunnett. House of Niccolo & Lymond Saga series. About House of Niccolo: Nicholas Vanderpoele, the dyer’s apprentice from Flanders, plays dangerous games with the greatest powers in Europe. At the time of the Wars of the Roses, when rival interests throughout Europe are defended by ruthless mercenary armies, a young boy lays his hands on a commercial secret. About Lymond Saga: In 16th century Scotland, a rebellious outlaw returns home from distant lands, determined to set in motion his own violent agenda that will upset the balance of power in Europe. Hurtled back through time more than two hundred years to Scotland in 1743, Claire Randall finds herself caught in the midst of an unfamiliar world torn apart by violence, pestilence, and revolution and haunted by her growing feelings for James Fraser, a young soldier. The series extends in later installments into the years leading up to the American Revolution. Fictionalized autobiography of the Roman emperior Claudius, who reveals the plots, intrigues, scandals, and secrets of the Roman court from Augustus’ reign through the depraved rule of Caligula. Stephen King. Eyes of the Dragon. Kristin Cashore. 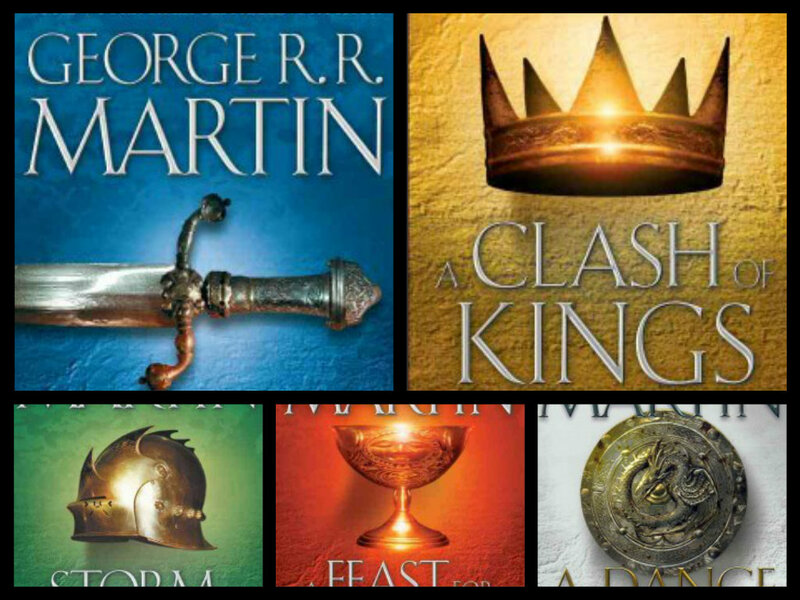 Seven Kingdoms series. Robin LaFevers. His Fair Assassin series. In the fifteenth-century kingdom of Brittany, seventeen-year-old Ismae escapes from the brutality of an arranged marriage into the sanctuary of the convent of St. Mortain, where she learns that the god of Death has blessed her with dangerous gifts–and aviolent destiny.